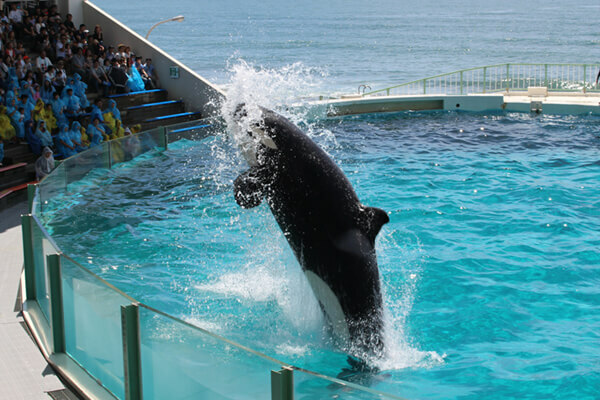 Minamiboso is located in the southernmost part of the Boso Peninsula. It is surrounded by the sea on three sides. A bike ride along the coast is a great way to explore. 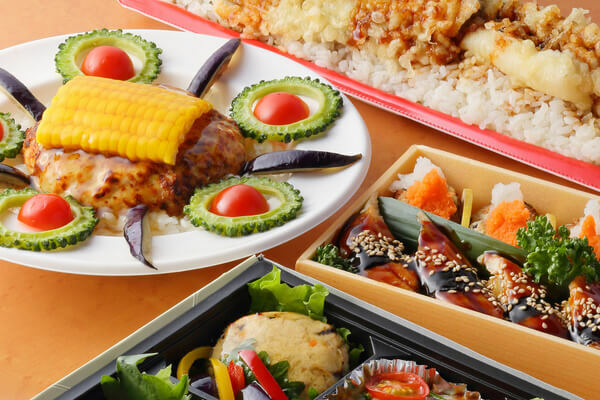 There are many places in Minamiboso where you can eat fresh local seafood and find beautiful ocean views. Do stay to watch the sunset. 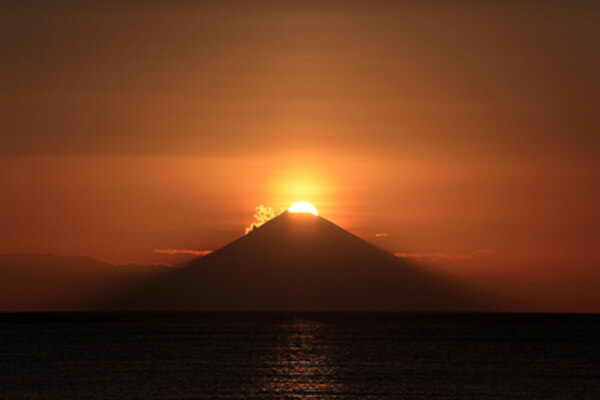 Taibusamisaki Nature Park is one place in Minamiboso that is great for watching the sunset. As the sun sets, you can see Mt. Fuji on the other side of Tokyo Bay. Take a special picture of iconic Mt. Fuji, the highest mountain in Japan. Mt. Nokogiriyama is famous for the views from its top. On clear days you can see not only the surrounding countryside, but also Mt. Fuji, and Mt. Amagi and Oshima Island across the water in Izu. Strawberry picking (ichigo-gari), called strawberry hunting in Japanese, is popular in Minamiboso. Local strawberries are sweet and tasty and there are several varieties to try. 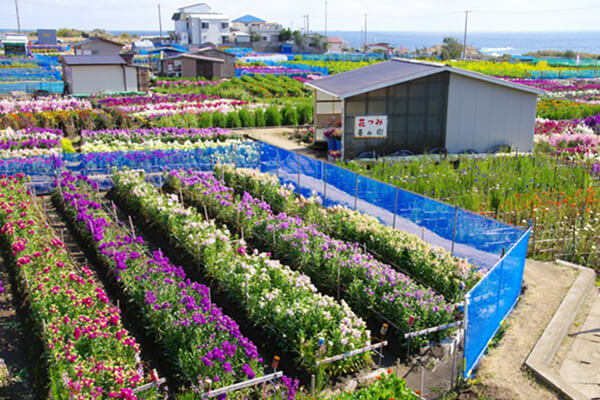 Minamiboso is also known for the Boso Flower Line. The flower fields along this road are beautiful in spring. Relax, have fun, and take a break from busy city life. 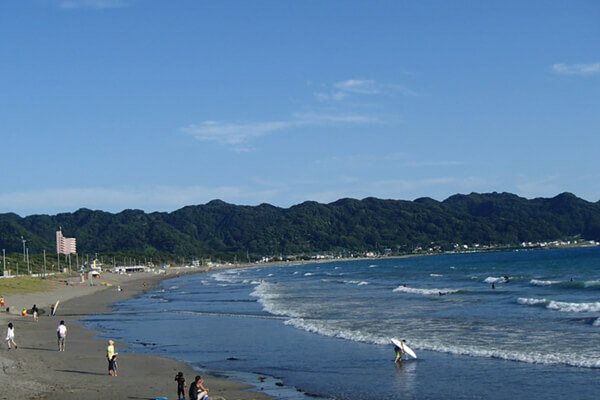 Slow down and relax in Minamiboso where you have both the mountains and the sea. Forest Therapy is one way to forget about our regular busy lives. Fun things to do for all ages. 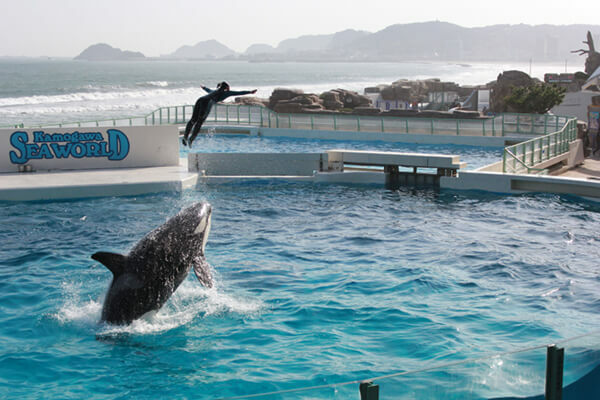 Go fruit picking together and visit the aqaurium at Kamogawa Sea World. 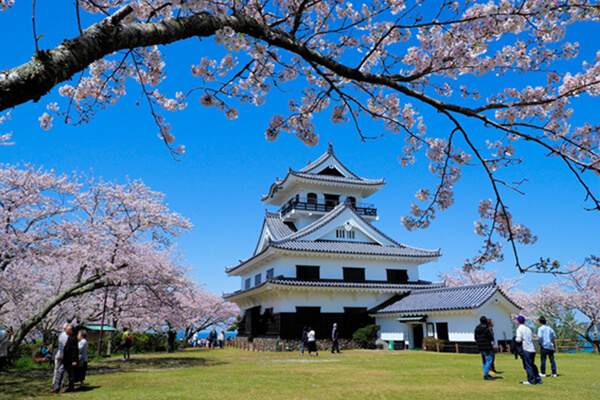 Rent a car and you will have many opportunities to enjoy the scenery and good food in Minamiboso. Drive along the coast, to historic buildings, and visit local seafood restaurants.